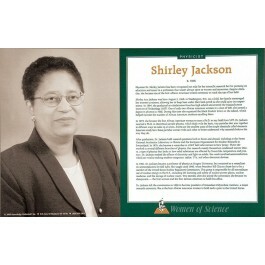 This poster of physicist Shirley Jackson is one of a series that focuses on great women scientists. 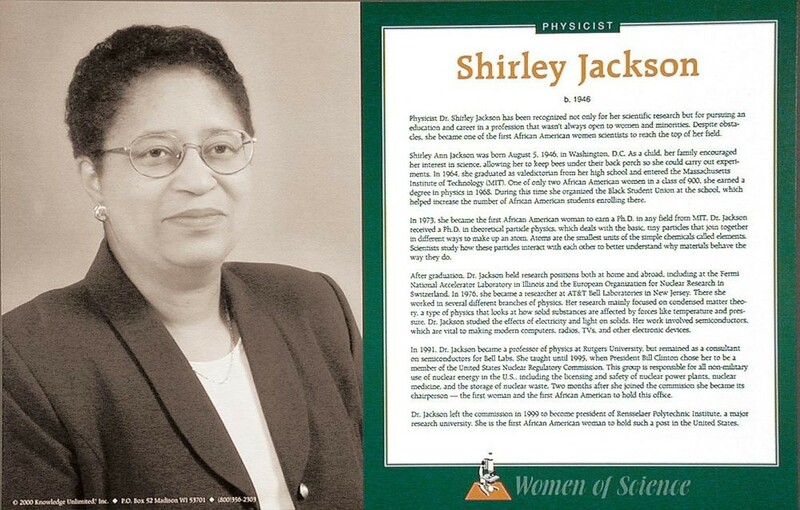 Dr. Jackson was the first African American woman to earn a Ph.D in any field from MIT. She received a degree in theoretical particle physics. She later became the first woman and the first African American to serve as chairman of the U.S. Nuclear Regulatory Commission.